individuals are responsible to turn in entry forms. It is not your coach's responsibility. Entry Fee is $60 per student per division (MSB, MLB, WSB, WLB, BB). You may enter more than one division. No refunds after the deadline date. 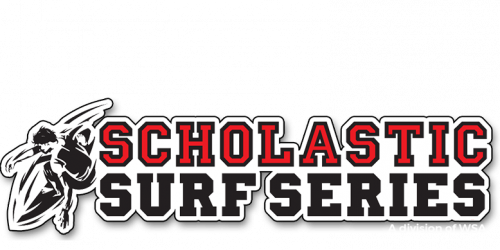 Eligibility: Active student members of a high school surf team whose team has competed in regular season league against other high schools. GPA of 2.0 or greater. Must have been a member of that team prior to the last contest of the current season. Non-SSS League Members Optional: You may pay an additional $10 to be insured under our accident policy for this event. Select optional insurance at checkout. Acceptance: Entries will be accepted on a first come basis until slots are filled. Late entries may be accepted by submittal date if there are open slots. A roster of accepted entries will be posted a week prior to the event on the State Champs page. If you are not accepted we will contact you. On Contest Day: Please check in 15 minutes prior to your heat and pick up your free SSS State Champ T-shirt and raffle ticket. Division heat times and the first-round heats will be posted online by Thursday prior to the event. Format: Six-person format with 50% advancement, 15-minute heats, and top 2 waves scored.